He performs with the world’s leading orchestras, including the Boston and Chicago Symphony Orchestras, New York Philharmonic, Berlin and Vienna Philharmonic Orchestras, Royal Concertgebouw Orchestra, Radio France Philharmonic Orchestra, Philharmonia Orchestra, Bavarian Radio Symphony Orchestra, all the major Nordic orchestras, the NHK Symphony Orchestra and the New Japan Philharmonic. Conductors with whom he collaborates regularly include Alan Gilbert, Daniel Harding, Paavo Järvi, Ingo Metzmacher, Andris Nelsons, Esa-Pekka Salonen, John Storgårds and David Zinman. The works written for Hardenberger stand as highlights in his repertory and include compositions by Sir Harrison Birtwistle, H K Gruber, Hans Werner Henze, Rolf Martinsson, Olga Neuwirth, Arvo Pärt, Tōru Takemitsu, Mark-Anthony Turnage and Rolf Wallin. His recording début in 1985, on BIS, formed the start of a distinguished and extensive discography on numerous labels. For BIS, Hardenberger has recorded music by H K Gruber, Arvo Pärt and Vagn Holmboe among others. Most recently, he has appeared in Sally Beamish’s Trumpet Concerto on a disc [BIS-2156] which was selected as Concerto Choice of the Month in BBC Music Magazine. Hardenberger also conducts orchestras such as the BBC Philharmonic, St Paul and Swedish Chamber Orchestras, Dresden Philharmonic, Real Filharmonía de Galicia and Malmö Symphony Orchestra. In recital he has duo partnerships with pianist Roland Pöntinen and percussionist Colin Currie. 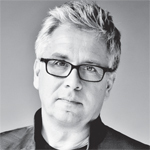 He is also artistic director of the Malmö Chamber Music festival. Håkan Hardenberger was born in Malmö. He began studying the trumpet at the age of eight with Bo Nilsson and continued his studies at the Paris Conservatoire with Pierre Thibaud and in Los Angeles with Thomas Stevens. He is a professor at the Malmö Academy of Music.